Why the Vertical Flight Society? The Vertical Flight Society — founded in 1943 as the American Helicopter Society, Inc. — is the world's only international technical society for engineers, scientists and others working to advance vertical flight technology. We bring together industry, academia and government to tackle the toughest challenges in vertical flight. Our members share a legacy of knowledge and accomplishment that has been driving innovation for 75 years! Events, conferences and meetings. Want to be on the cutting edge of vertical flight? Our Annual Forum, frequent technical meetings, and events at your local chapter are the best opportunities for you to connect in person with the vertical flight community. Learn and share in the latest developments with engineers, researchers, industry leaders and many other like-minded professionals. Technical committees. Be at the forefront of the state of the art in your specific technical discipline by participating in our 21 technical committees. Our committees cover every aspect of vertical flight from Acoustics and Aerodynamics to Safety and Unmanned VTOL aircraft. The Vertical Flight Library includes more than 11,000 papers and articles to support your continuing education and career development. 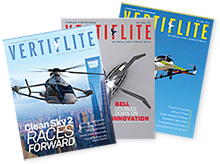 The award-winning Vertiflite magazine (included with your membership) keeps you informed on the latest advancements in vertical flight. You can also choose to subscribe to the peer-reviewed Journal of the AHS, the world's only technical journal dedicated to vertical flight. 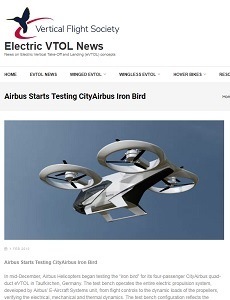 Keep up with the latest developments in electric VTOL aircraft at eVTOL.news, our brand-new website dedicated to the incredible promise and progress of this rapidly advancing field. Vertipedia, our online encyclopedia of all things vertical flight, provides data on hundreds of aircraft, historical milestones, biographies and related resources. Check out our brand-new image gallery, home to thousands of high-quality images—many from Society members! Visit Hover, our members-only community where you can connect with other members and discuss the latest in vertical flight. Student competitions. Our Student Design Competition, now in its 36th year, challenges students to design vertical lift aircraft to meet specific objectives that change each year. Our Micro Air Vehicle Challenge encourages student teams to design and construct innovative VTOL vehicles judged on their ability to navigate a series of form and functional challenges. Scholarships. Established in 1967, the Vertical Flight Society's Vertical Flight Foundation gives you the opportunity to support the next generation of vertical flight. 100% of every dollar you donate to VFF goes directly to student scholarships. In 2018, we awarded 24 scholarships totaling more than $90,000 to students pursuing engineering related careers in vertical flight technology. STEM Outreach and Education. The VFS STEM Program strives to educate, motivate, and engage educators and students to gain interest and apply knowledge on a variety of topics related to vertical flight technology. Don't miss Forum 75 taking place May 13-16 in Philadelphia!